138 loyalty points Your cart will total 138 points that can be converted into a voucher of 5,52 PLN. 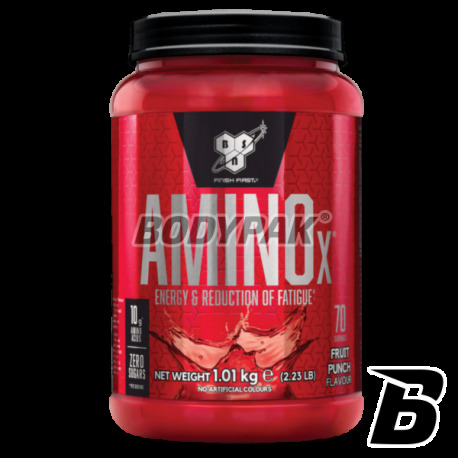 BSN Amino-X is the amino acid product of the highest quality. 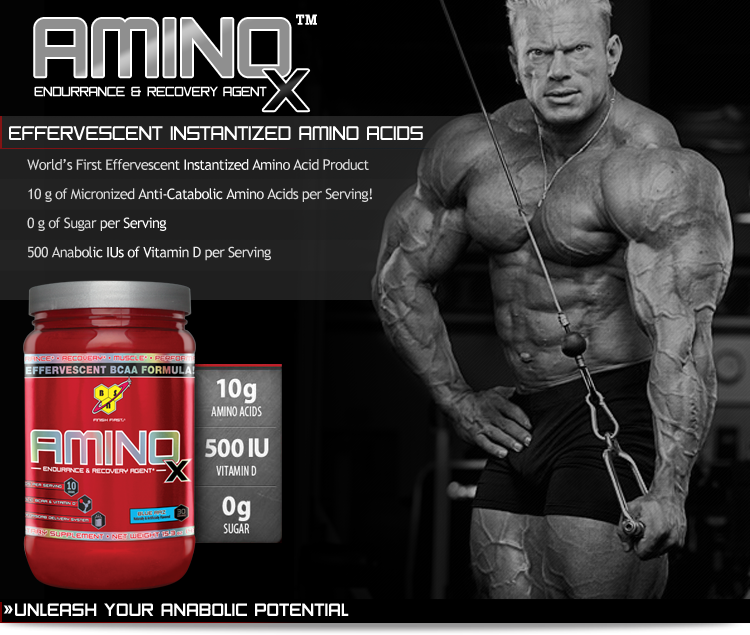 The first product, which uses instanizowaną, effervescent formula of amino acid! The ideal solubility is not everything, the taste is at the highest level. The formulation is so thoughtful and composed by supplementation bring you the best possible results. Major support for the regeneration processes make in a short time you will be at full strength - even after a hard workout! 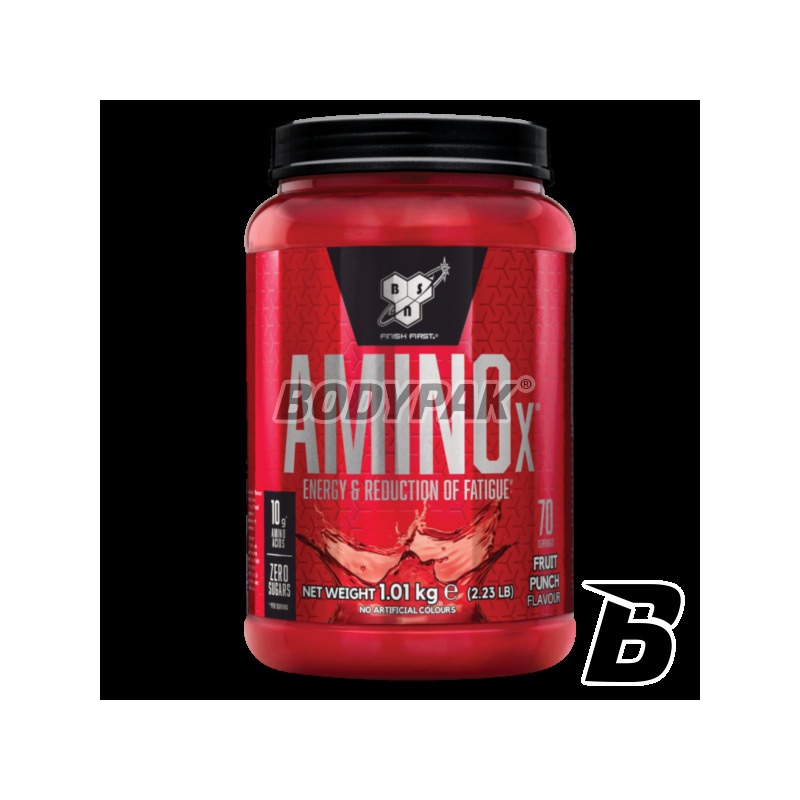 The advanced formula of BSN Amino-X was created to speed up anabolic processes (protein synthesis), improve recovery and reduce catabolism training. Of course this is not everything, but there is no denying that these are the most important aspects of the activity of the product. In addition, speed is improved muscle glycogen replenishment, and there is an increase in the strength! BSN Nutrition prides itself on the fact that in the composition there is no unnecessary filler and additive! There was also used to improve the taste of sugar, but no matter it is sensational! At the time when the product entered the market supplements he made no small commotion unprecedented quality. 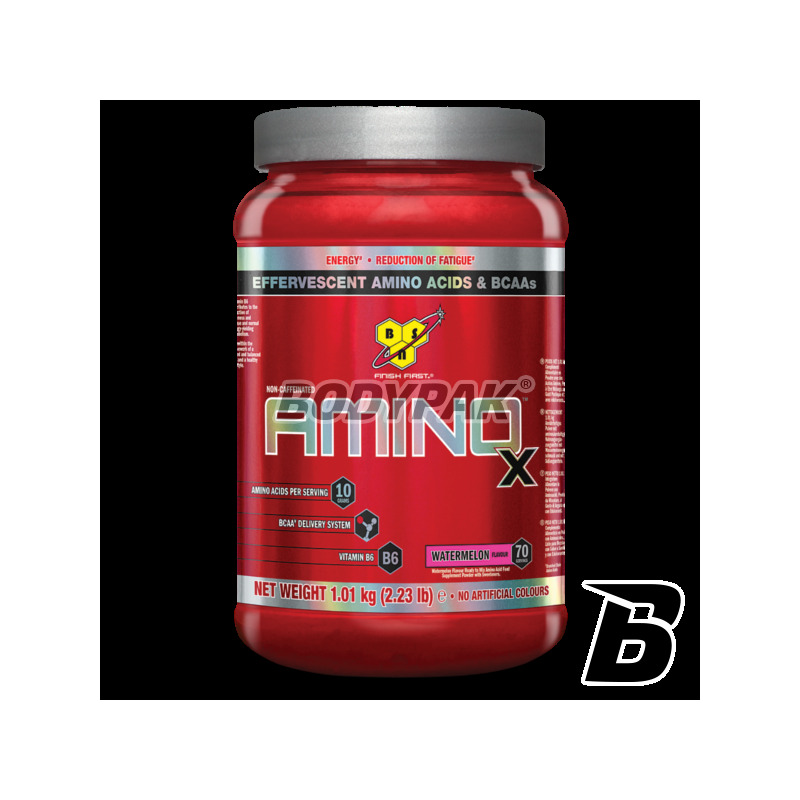 BSN Amino-X will surprise you efficacy and taste! Ingredients: mixture of amino acids (-leucine, L-isoleucine, L-valine, L-alanine, taurine, L-arginine) emulsifier - lecithin , acidity regulator (citric acid, malic acid, carbonate sodium), flavor, color: red beet sweeteners (sucralose, acesulfame K), vitamins (cholecalciferol, pyridoxine hydrochloride). Jedne z lepszych smakowo i składowo aminek jakie miałem przyjemność popijać. Idealne połączenie. Produkt na prawdę wysokiej klasy a marka bsn mówi sama za siebie. Warto czasem zainwestować w wyższą półkę. Skład się liczy i ten jest ok, chociaż smakowi też niczego nie brakuje. Jeden z najlepszych preparatów w swojej klasie.. jedynie cena.. ale warto! Znakomite aminokwasy, świetna rozpuszczalność.. po prostu cudo! Kupuję tylko ten produkt.